Lighting just got easier! CYRON SCR3 White Ribbon Lights will make it possible to add lighting in spaces never before possible. CYRON white ribbons offer great ease of installation for long linear runs. 3M tape transfer on the back for easy peel and stick. Can be cut every 4 inches. 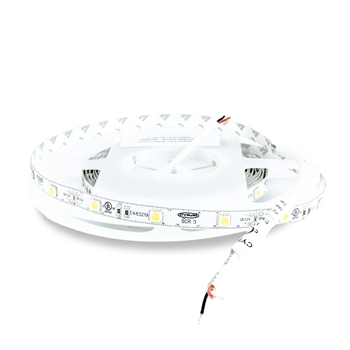 Using tri-chip LED technology, each SCR3 LED produces 3 times the output of a single SMD LED used in SCR1 series. Also available in outdoor type SCRX3-RL and SCRZ3-RL and pro grade SCRZ3-2H24-RL.